18And he said unto me, Son of man, thus saith the Lord Jehovah: These are the ordinances of the altar in the day when they shall make it, to offer burnt-offerings thereon, and to sprinkle blood thereon. 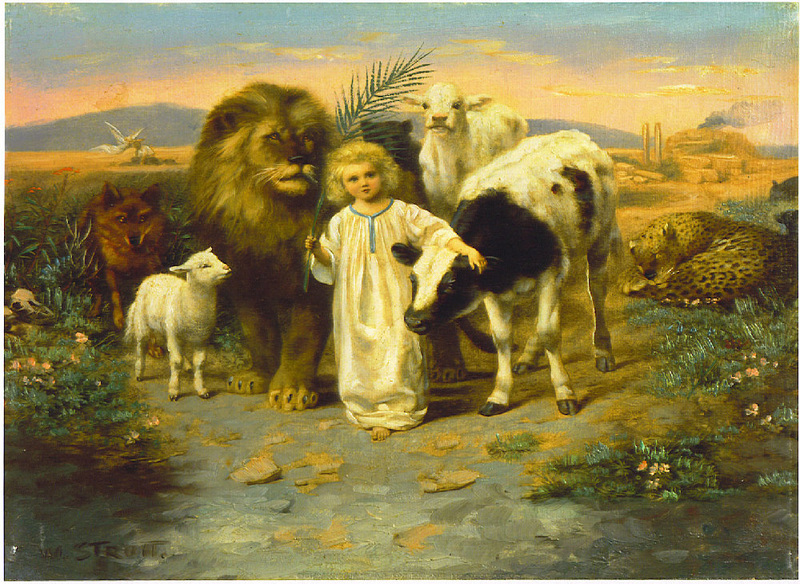 19Thou shalt give to the priests the Levites that are of the seed of Zadok, who are near unto me, to minister unto me, saith the Lord Jehovah, a young bullock for a sin-offering (ASV, 1901). This first set of ordinance offerings initiate the operation of the Messianic Temple. This is God’s first official act to consecrate the Temple and inaugurate its nearly full thousand year operation following its construction and operation. These very specific sacrificial offerings will be made upon the altar described in the previous verses in full sight of the Messiah as He sits in the inner Holy of Holies and looks out on the inner court as they are made in loving obedience to the Savior. The altar will be cleansed by the shedding of blood and used for offering whole burnt and peace offerings. Blood which the Bible regards as containing the life of the offering will be placed in the prominent place on the altar to communicate holiness. It imparts holiness and removes sin. This is a direct reference to the Lord Jesus whose blood imparted holiness to us and removed our sins. Now He is celebrating the fact that these two factors of the Messianic Kingdom have been achieved by Him. This is very similar to what Moses was commanded to do in the wilderness to inaugurate the Tabernacle over a seven day period. Details are important because similarity does not mean sameness. Since Ezekiel has been promised to be resurrected he will be able to actually give to the priests, the Levites that are of the seed of Zadok, who are near unto me, to minister unto me, saith the Lord Jehovah, a young bullock for a sin-offering. This is promised to the faithful Old Testament saints in at lease two places. This is God’s Promise. 19 Your dead shall live; my dead bodies shall arise. Awake and sing, ye that dwell in the dust; for your dew is as the dew of herbs, and the earth shall cast forth the dead (ASV, 1901). While this passage promises that a resurrection will some day take place a more specific promise regarding timing is found in the second passage found in the book of Daniel. 1 And at that time shall Michael stand up, the great prince who standeth for the children of thy people; and there shall be a time of trouble, such as never was since there was a nation even to that same time: and at that time thy people shall be delivered, every one that shall be found written in the book. 2 And many of them that sleep in the dust of the earth shall awake, some to everlasting life, and some to shame and everlasting contempt (ASV, 1901). This passage is making a clear distinction between the resurrection of the righteous and the resurrection of the unrighteous. Only the righteous saints will be resurrected at this time in order to partake of the blessings of the Millennial Kingdom. These are the friends of the bridegroom (John. 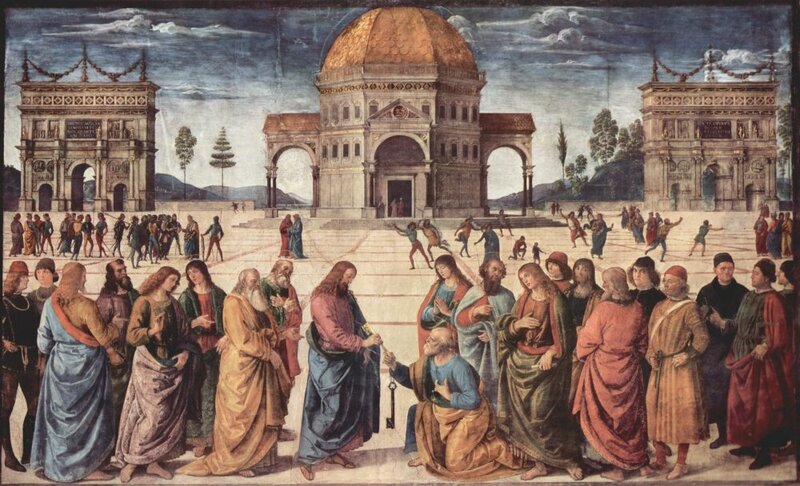 3:29) who will be invited to the wedding feast with which the Messianic Kingdom will begin. The rest of humanity will be resurrected to everlasting destruction at the Great White Throne judgment after the Messianic Kingdom. Since Daniel chapter twelve begins with a discussion of Michael the Archangel prevailing at a time of trouble greater than any ever, it clearly points to the time of the end of the Tribulation. Therefore Ezekiel will be resurrected and provide the necessary first sacrifice to the Sons of Zadok of the priestly line to inaugurate the Messianic Temple. He may be the High Priest or at least have a significant role in the High Priest’s activities. 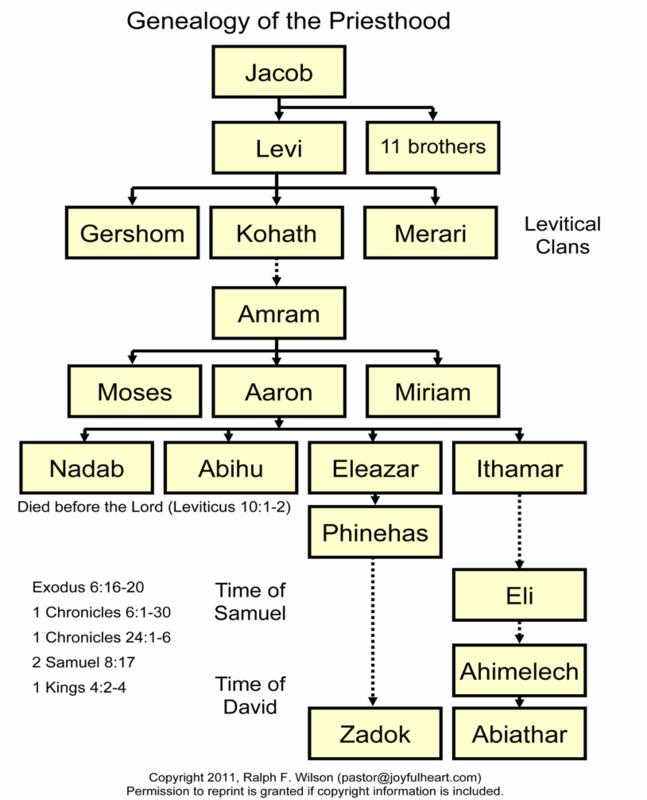 The Sons of Zadok are a very special group of which Ezekiel belongs and as God says, “are near unto me, to minister unto me.” All Hebrew names have meaning. The Sons of Zadok have a unique name meaning “righteous.” As such Zadok was a type or model of the Lord Jesus. Zadok was a priest, who descended from Eleazar the son of Aaron the first High Priest (I Chronicles 6:4-8). He aided King David during the revolt of his son Absalom and was subsequently instrumental in bringing King Solomon to the throne. After Solomon’s building of The First Temple in Jerusalem, Zadok was the first High Priest to serve there. The Sons of Zadok have always been faithful to the Lord and His chosen elect. In their rebellion Israelite priests had violated the Lord’s covenant by allowing foreigners to bring their detestable practices into the temple. Because the Levites had been unfaithful to the Lord, they will be demoted in the Messianic Temple. They will tend the temple gates, slaughter sacrificial animals, and assist the people, but they will not be allowed to handle the holy objects or offerings of the Lord. As a reward for their faithfulness the Zadokite line of the Levitical family would function as the Lord’s priests. Zadok was a descendant of Aaron through Eleazar and Phinehas (I Chronicles 6:3–8, 50–53). 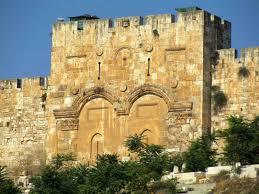 They will be the priests selected for service of the altar called in Hebrew the Mizbeyach in the Messianic Temple. The sacrifices while memorializing the atonement that Jesus provided for the world will also emphasize the divine election of the nation Israel. They will have been chosen to perform the very sacrifices that will impress upon the whole world the blessings of salvation and peace that have been provided by the Messiah Jesus. The very first sacrifice will be a young bull as a sin offering. The Hebrew word for sin is chatat. Since Hebrew words are built on a root of three letters this word’s root is chat which means cleanse. It is actually more accurate therefore to describe this as a cleansing offering. 20And thou shalt take of the blood thereof, and put it on the four horns of it, and on the four corners of the ledge, and upon the border round about: thus shalt thou cleanse it and make atonement for it. 21Thou shalt also take the bullock of the sin-offering, and it shall be burnt in the appointed place of the house, without the sanctuary (ASV, 1901). Similarly was the case in the Mosaic Law when the blood was applied to the four horns of the altar with the priest’s finger (Exodus 29:12). Actually every sin offering mentioned in the Law was a blood applied on the four horns of the altar. Then in the Mosaic Law the remainder of the blood was poured on the base of the altar. In the Messianic Temple the blood will be sprinkled first on the four horns of the altar and then also sprinkled on the corners of the settle which went round it, for the priests to walk on, and carry out their activities. This could be either the uppermost, or the lowermost settle, or both (see diagram). Some will also probably be applied on the border or ledge that enclosed the settle. Here is another distinction between the Messianic Temple sacrifice and that of the Mosaic Law found in the book of Exodus. 13And thou shalt take all the fat that covereth the inwards, and the caul upon the liver, and the two kidneys, and the fat that is upon them, and burn them upon the altar. 14But the flesh of the bullock, and its skin, and its dung, shalt thou burn with fire without the camp: it is a sin-offering (ASV, 1901). In the Mosaic Law the inner parts of the bullock were burned on the altar. Here the command is to burn all the bullock outside the Temple. There is no mention of the Mosaic practice of allowing the priests to eat the flesh of the private sin or peace offerings here in the memorial sacrifices. 22And on the second day thou shalt offer a he-goat without blemish for a sin-offering; and they shall cleanse the altar, as they did cleanse it with the bullock. 23When thou hast made an end of cleansing it, thou shalt offer a young bullock without blemish, and a ram out of the flock without blemish. 24And thou shalt bring them near before Jehovah, and the priests shall cast salt upon them, and they shall offer them up for a burnt-offering unto Jehovah. 33But this is the covenant that I will make with the house of Israel after those days, saith Jehovah: I will put my law in their inward parts, and in their heart will I write it; and I will be their God, and they shall be my people. 34And they shall teach no more every man his neighbor, and every man his brother, saying, Know Jehovah; for they shall all know me, from the least of them unto the greatest of them, saith Jehovah: for I will forgive their iniquity, and their sin will I remember no more (ASV, 1901). 25And I will sprinkle clean water upon you, and ye shall be clean: from all your filthiness, and from all your idols, will I cleanse you. 26A new heart also will I give you, and a new spirit will I put within you; and I will take away the stony heart out of your flesh, and I will give you a heart of flesh. 27And I will put my Spirit within you, and cause you to walk in my statutes, and ye shall keep mine ordinances, and do them (ASV, 1901). 25Seven days shalt thou prepare every day a goat for a sin-offering: they shall also prepare a young bullock, and a ram out of the flock, without blemish. 26Seven days shall they make atonement for the altar and purify it; so shall they consecrate it. 27And when they have accomplished the days, it shall be that upon the eighth day, and forward, the priests shall make your burnt-offerings upon the altar, and your peace-offerings; and I will accept you, saith the Lord Jehovah (ASV, 1901). The sacrifices are a gift to our God and in burning them they become irrevocable as in a covenant that cannot be broken. They are promises of the people to God to keep His Law. The salt is a symbol of the preservation of these promises. Fire in the house of God is a type of the Shekinah which provides, power, (Exodus 9:24), wrath (II Kings 1:9–12), approval (Leviticus 9:24), guidance (Exodus 13:21–22), protection (Zechariah 2:5), purity (Isaiah 6:5–7), deliverance (II Kings 2:11), God’s word (Jeremiah 5:14), the Messiah (Malachi 3:2), the Holy Spirit (Acts 2:3), judgment (Matthew 25:41), the return of Christ (II Thessalonians 1:8), and the end of the present age (II Peter 3:10–12). A sign of God’s presence with His people (Ezekiel 43:27). It was associated with holiness, purity, and mercy, especially the horns of the altar (Ezekiel 43:15, 20; 1 Kings 1:50–51; 2:28). The sprinkling of blood on the horns of the altar was a rite of purification (Ezekiel 43:18–21). The altar was a tool of mediation (Ezekiel 40:47; 43:19). Offerings were translated from the physical world by burning and given to God as the smoke rose to heaven. The sacrifice was a means of communication with God and was considered a form of prayer (Psalm 141:2). The act of sacrifice was for a temporary atonement of sins committed knowingly and unintentionally (Ezekiel 43:25–27; Leviticus 4:2, 13, 22, 27; 5:3–4, 15, 18; Numbers15:22–31). 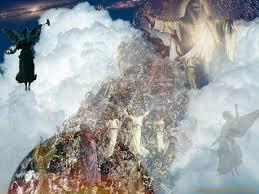 At the conclusion of the seven days of cleansing God will completely accept the population of the Messianic Kingdom. The cleansing ritual is passed and from then on the daily sacrifices are memorial for the world to affirm Christ’s love and sacrifice for us. It will be a reminder of the order, peace ,and promises He provided for this world. 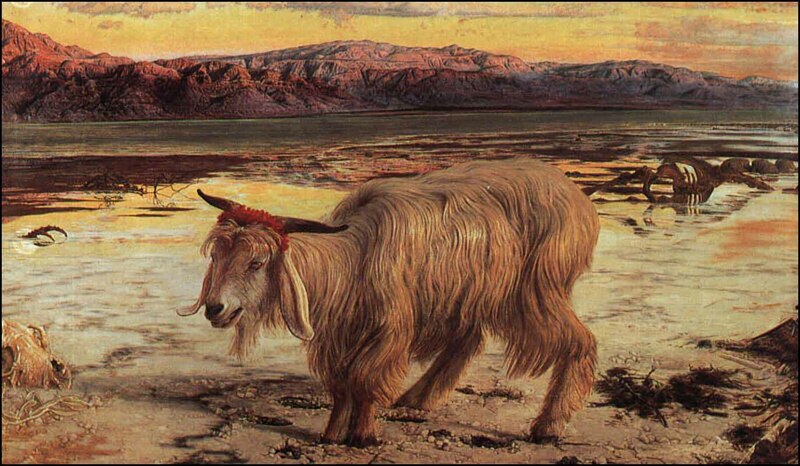 18Thus saith the Lord Jehovah: In the first month, in the first day of the month, thou shalt take a young bullock without blemish; and thou shalt cleanse the sanctuary (ASV, 1901). 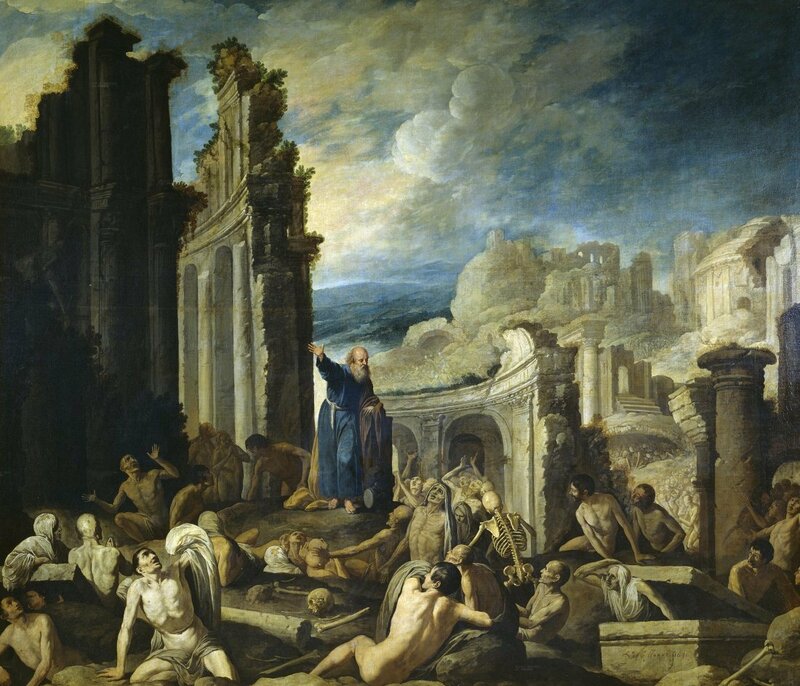 God speaks directly to Ezekiel giving him explicit instruction for the cleansing of the Sanctuary. Earlier in Ezekiel 43:19-20 a young bull was offered to cleanse the Altar. With the Exodus (cir. 1444 B.C) God inaugurated a religious calendar for the Children of Israel that would replace the civil calendar for ceremonial purposes. The events of the Exodus 12 passage took place in the seventh month according to the civil calendar which began in September with the new harvest. The passover & deliverance from their slavery was such a significant event that God would change the basis point from which they reckon time. A new year would signify a new beginning apart from the Egyptian solar calendar to a new lunar calendar. So God then changed the religious calendar to the first month of the year which then He called Abib to commemorate a new start. This name was change to Nisan during the Babylonian captivity. God wanted this new start to be so significant to the Nation Israel that even the calendar was going to reflect it. The Antichrist as a false Messiah will try and do the same (Daniel 7:25). The rest of Israel’s law is given at Sinai, but this memorial of redemption was established in the land of Egypt. The religious calendar would begin in the time period of March-April. This new Messianic cleansing will take place in Nisan but on the first day of the month not the 10th day as specified in Exodus 12:3 for the new beginning. The significance of this is that the 10th of Nisan was the month of Israel’s redemption from the persecution in Egypt. The final redemption of Israel’s persecution from this present age will also end on Nisan but on the first day of the month. 19And the priest shall take of the blood of the sin-offering, and put it upon the door-posts of the house, and upon the four corners of the ledge of the altar, and upon the posts of the gate of the inner court. 20And so thou shalt do on the seventh day of the month for every one that erreth, and for him that is simple: so shall ye make atonement for the house (ASV, 1901). Once the bull has been sacrificed by the Levites they will put it on the door-posts of the Temple Doorway and the base of the four corners of the upper platform of the Altar and on the doorpost of the gate of the Inner Courtyard. Presumably this is the inner eastern gate. This will be for any Gentile who unintentionally sins because intentional sin will not be possible for the Jew due to the New Covenant’s provisions. The simple person is also known as one who was foolish. It is generally seen as those who when the Babylonian captivity had ended decided to stay in Babylon instead of going back to Jerusalem. This procedure will be repeated on the seventh day of the month. 21In the first month, in the fourteenth day of the month, ye shall have the passover, a feast of seven days; unleavened bread shall be eaten. 22And upon that day shall the prince prepare for himself and for all the people of the land a bullock for a sin-offering. 23And the seven days of the feast he shall prepare a burnt-offering to Jehovah, seven bullocks and seven rams without blemish daily the seven days; and a he-goat daily for a sin-offering. 24And he shall prepare a meal-offering, an ephah for a bullock, and an ephah for a ram, and a hin of oil to an ephah. 25In the seventh month, in the fifteenth day of the month, in the feast, shall he do the like the seven days; according to the sin-offering, according to the burnt-offering, and according to the meal-offering, and according to the oil (ASV, 1901). Passover will be celebrated on the fourteenth of Nisan as it has been since the Exodus. In keeping with the celebration of what the Messiah did for us by sacrificing Himself on the fourteenth of Nisan, the Passover will continue to occur on the same day. The actual festival of Passover (Pesach) begins the nightfall on the fifteenth day of Nisan. But on the fourteenth day, after the sixth hour of the day. Chometz, unleavened bread, or any food that contains leaven (yeast) will be forbidden. Yeast is represented as sin in the Bible because it puffs up as in pride like the first sin of the anointed Cherub Hallal who became Satan the adversary of God and then mankind’s adversary. 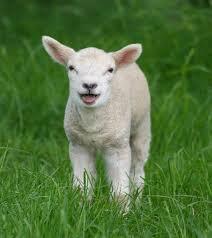 Then in the afternoon the Korban Pesach (Pascal lamb) is offered. Interestingly Jesus was sacrificed on the Passover, went into the tomb on Unleavened Bread and rose from the dead on First Fruits the third holiday of the Jewish agrarian year. The Prince David will be the director of the services first for himself then for the people of the land with a bullock for a sin-offering. in the Mosaic system, the Passover was held within individual families with the head of the household performing the ceremony. In the Messianic Kingdom the Prince David will perform the ritual on behalf of the nation. In the Mosaic Law, the Passover was a one day festival, while in the Ezekiel, it will last for seven days. The Mosaic offered an unblemished lamb, while in the Kingdom a bullock will be offered. David will offer a flour offering on the first Passover in order to consecrate the newly operational Temple. This and the timing of the seventh month in the fifteenth day will signify the Feast of Tabernacles (Sukkot) which will have a significant attendance including all the Gentiles in the world. 16And it shall come to pass, that every one that is left of all the (Gentile) nations that came against Jerusalem shall go up from year to year to worship the King, Jehovah of hosts, and to keep the feast of tabernacles (ASV, 1901). 1 Thus saith the Lord Jehovah: The gate of the inner court that looketh toward the east shall be shut the six working days; but on the sabbath day it shall be opened, and on the day of the new moon it shall be opened. 2And the prince shall enter by the way of the porch of the gate without, and shall stand by the post of the gate; and the priests shall prepare his burnt-offering and his peace-offerings, and he shall worship at the threshold of the gate: then he shall go forth; but the gate shall not be shut until the evening (ASV, 1901). The Sabbath of the Old Testament will be reinstituted. The Sabbath will be in force as soon as the Church is Raptured from the earth. This will continue for the entire reign of our Messiah during His one-thousand year Kingdom. The glory of our Messiah and in His honor the east gate to the inner court will be opened only on the Sabbath and the first day of the month (Hebrew Rosh Chodesh). The Prince will lead the worship and it will last until the evening at which time the east inner court gate will be shut again. It is by this gate that the Prince will enter into the sanctuary to preside over the worship services as the Levites prepare the designated offerings to our Messiah. The Hebrew text says the Prince will prostrate himself before the Lord not worship as our translation says. This is the appropriate level of obedience and honor one gives the king of the earth who gave us His life for our salvation. 3And the people of the land shall worship at the door of that gate before Jehovah on the sabbaths and on the new moons. 4And the burnt-offering that the prince shall offer unto Jehovah shall be on the sabbath day six lambs without blemish and a ram without blemish; 5and the meal-offering shall be an ephah for the ram, and the meal-offering for the lambs as he is able to give, and a hin of oil to an ephah (ASV, 1901). All people will come to worship at the Messianic Temple at the sabbath and the new moons. In the Mosaic Law, the observance of the Feast of Tabernacles was required for Jews only. But this will change under the Kingdom Law, it will be mandatory for both Jews and Gentiles (Zechariah 14:16–21). Under the Law of Moses, only Jews could be priests, but under Kingdom Law, Gentiles will also serve as priests (Isaiah 66:18–21). This is not at all a return to the Mosaic Law, but it is a brand new Kingdom Law. It does not conflict with the New Testament teaching that the Mosaic Law ended with Messiah’s death. Isaiah made it quite clear that these observances would occur when God gave him these prophecies nearly seven-hundred years before Jesus was born. 23And it shall come to pass, that from one new moon to another, and from one sabbath to another, shall all flesh come to worship before me, saith Jehovah. 24And they shall go forth, and look upon the dead bodies of the men that have transgressed against me: for their worm shall not die, neither shall their fire be quenched; and they shall be an abhorring unto all flesh (ASV, 1901). God makes it quite clear through His prophet Isaiah that the people coming to Jerusalem shall see the multitude of people who perished in the last siege of Jerusalem during the Great Tribulation. These nations that came against Christ will find themselves being trodden down by the King of the Jews. The city is Jerusalem and the winepress metaphor is the battle in the Valley of Jehoshaphat which today is called the Kidron Valley. It lies between the Temple Mount and the Mount of Olives. And the angel thrust in his sickle into the earth, and gathered the vine of the earth, and cast it into the great winepress of the wrath of God. And the winepress was trodden without the city, and blood came out of the winepress, even unto the horse bridles, by the space of a thousand and six hundred furlongs (KJV). 20Therefore hear ye the counsel of Jehovah, that he hath taken against Edom; and his purposes, that he hath purposed against the inhabitants of Teman: Surely they shall drag them away, even the little ones of the flock; surely he shall make their habitation desolate over them. 21The earth trembleth at the noise of their fall; there is a cry, the noise whereof is heard in the Red Sea. 22Behold, he shall come up and fly as the eagle, and spread out his wings against Bozrah: and the heart of the mighty men of Edom at that day shall be as the heart of a woman in her pangs (ASV, 1901). The massive blood letting that began at Bozrah moves to the south down the Arabah until it empties into the Red Sea at the present-day cities of Eilat and Akaba. The distance to Jerusalem is about 200 miles. The level of the blood is about four feet high. 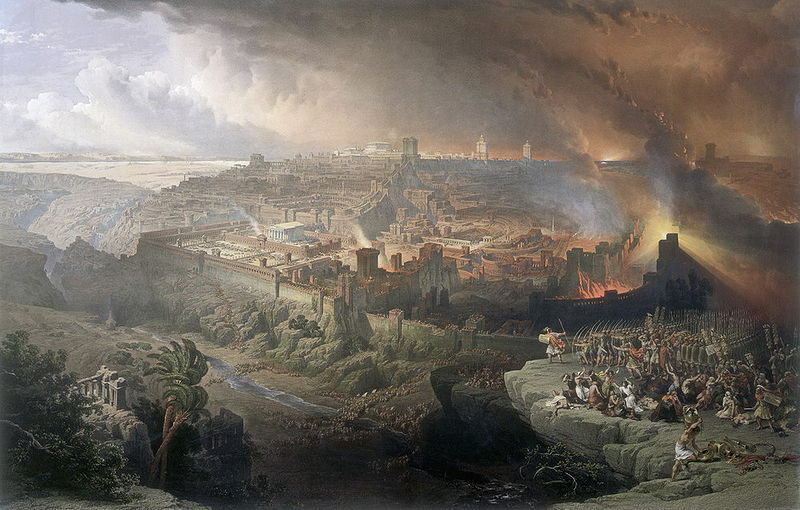 The battle finally comes to an end in the Valley of Jehoshaphat ending the seventh stage of the campaign of Armageddon. 6And on the day of the new moon it shall be a young bullock without blemish, and six lambs, and a ram; they shall be without blemish: 7and he shall prepare a meal-offering, an ephah for the bullock, and an ephah for the ram, and for the lambs according as he is able, and a hin of oil to an ephah. 8And when the prince shall enter, he shall go in by the way of the porch of the gate, and he shall go forth by the way thereof (ASV, 1901). Israel’s calendar was change by God as they left Egyptian time reckoning from a solar year to a lunar year. 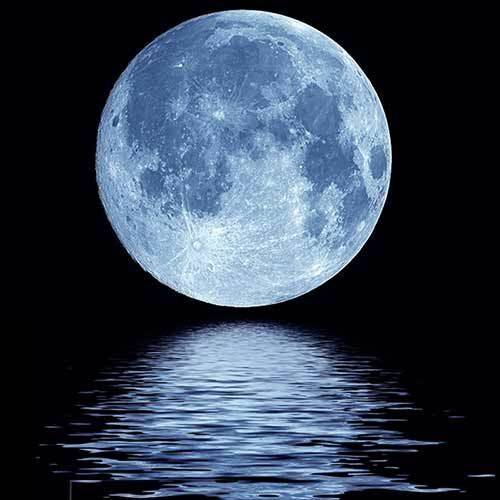 God commanded that this change be recognized of the new moon in a significant manner. The feasts were all reckoned in relation to the various phases of the moon. 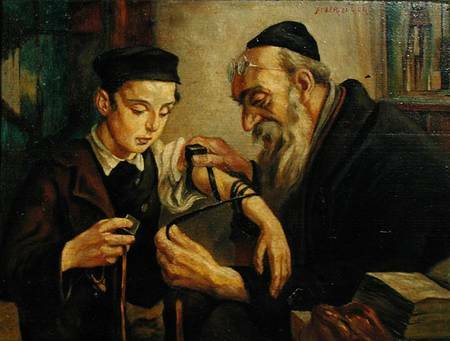 Today in some of Orthodox Judaism’s followers special prayers are recited at the appearance of the new moon. This Messianic Kingdom change is a new offering brought by David and it differs from the Mosaic Law as prescribed by the Torah in that there is no mention of a sin offering (Numbers 28:11, 15). This is a brand-new offering unique to the Messianic Kingdom. David enters by the outer door on the side of the east and he goes out the same way. He has a very prominent role as the representative of the people. He presents his offerings to the Lord God our Messiah, while the people stand as worshippers at the outer side of the inner east gate. The offerings the Prince is to bring on the Sabbath are larger than those commanded in the law. Both the burnt-offering and the meal offering brought by him on the Sabbath are more abundant than those offered under the Mosaic Law. This represents a higher form of worship of the Messiah who will live with us and restored Israel. 9But when the people of the land shall come before Jehovah in the appointed feasts, he that entereth by the way of the north gate to worship shall go forth by the way of the south gate; and he that entereth by the way of the south gate shall go forth by the way of the north gate: he shall not return by the way of the gate whereby he came in, but shall go forth straight before him (ASV, 1901). During the Messianic Kingdom there will be a orderly procession of all the people of the earth coming to Jerusalem to honor the King at the appointed festivals. This is a public display of worship and honor to God. In order to prevent congestion and confusion all the people will be entering the Temple compound through either the north or the south gate. The Temple proper, known as the Heichal, will be passed by as the worshippers stream through the inner court and prostrate themselves before the Messianic King of the universe. Whatever gate they enter by they will proceed straight through to the other side and exit that opposite gate. So if they enter by the north gate they will go out by way of the south and visa-versa. God is very concerned with appropriate decorum in His House as well as worship practices and has stated that in the Mosaic Law as well as the New Testament. 16Three times in a year shall all thy males appear before Jehovah thy God in the place which he shall choose: in the feast of unleavened bread, and in the feast of weeks, and in the feast of tabernacles; and they shall not appear before Jehovah empty (ASV, 1901). This same concept holds true in the New Testament too. The apostle Paul when giving us rules of order in the proper expression of Spiritual Gifts (Greek Charismata), says that we should “Let all things be done decently and in order” (I Corinthians 14:40). Paul does not limit the proper order to charismata. He says, “All Things,” which focuses on the worship and honor we pay to the Lord. In fact the book of I Corinthians from Chapter 11:2 to 14:40 reveals the proper order of Christian worship leading up to this section’s conclusion of the proper functioning of charismata. It includes the state of women and headship as well as the state of all at the Lord’s Supper. We will all stand before God to give and account. (Romans 14:12; II Corinthians 5:10). God does not want us to follow the culture. He wants us to be obedient to Him in all things. There will be an unknown number of people in the millions coming to Jerusalem during the Messianic Kingdom so order and decorum must prevail in our public display of worship. What is important for us to realize is that everything is divinely ordered. We may not understand it but God does everything for a reason. He wants our obedience. 10And the prince, when they go in, shall go in in the midst of them; and when they go forth, they shall go forth together. 11And in the feasts and in the solemnities the meal-offering shall be an ephah for a bullock, and an ephah for a ram, and for the lambs as he is able to give, and a hin of oil to an ephah. 12And when the prince shall prepare a freewill-offering, a burnt-offering or peace-offerings as a freewill-offering unto Jehovah, one shall open for him the gate that looketh toward the east; and he shall prepare his burnt-offering and his peace-offerings, as he doth on the sabbath day: then he shall go forth; and after his going forth one shall shut the gate (ASV, 1901). 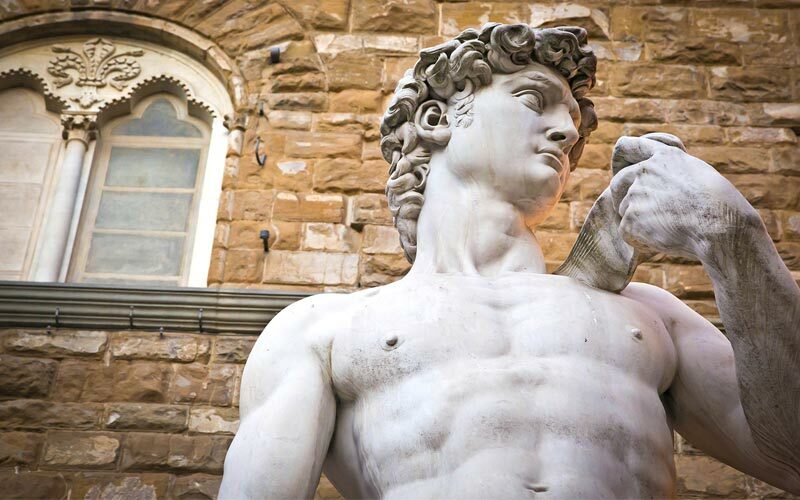 One of the most precious views of the attitude of David the Prince and why he was chosen for this role is the love for and obedience he had for God. He as the great leader is not pushing the people to properly worship God. He is showing them how to obey by doing it with them. Here he is in the midst of them; and when they go forth, they shall go forth together, (David’s Lament in I Samuel 26:19; Sons of Korah Psalm 42:4; David’s Godly resolve in Psalm 132:1-5). God says that when David shall prepare a freewill-offering, a burnt-offering or peace-offerings as a freewill-offering unto Jehovah, one shall open for him the gate that looketh toward the east; and he shall prepare his burnt-offering and his peace-offerings, as he doth on the sabbath day: then he shall go forth; and after his going forth one shall shut the gate. So the gate on the east of the inner court will be open for him to make his obeisance to The King of the world. After he came in with the people he will then ceremonially go in and out of the eastern gate in obedience to God. The gate will be opened for him and closed after he has made his ceremonial offering leading the people in worship with the specified offerings in the volumes required. The outer eastern gate is permanently closed now after Messiah entered the Temple compound. The lesser leader David will obey a model of that with the inner eastern gate. The New Year offerings, the Passover offerings, the offerings for the Feast of Tabernacles, and the Sabbath offerings, will all take place at the inner eastern gate. 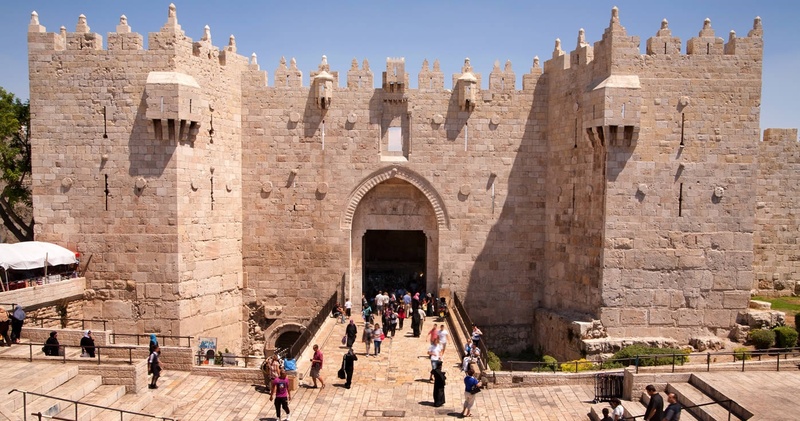 The inner eastern gate will be shut for six days, but will always be opened on the Sabbath throughout the Kingdom period. 13And thou shalt prepare a lamb a year old without blemish for a burnt-offering unto Jehovah daily: morning by morning shalt thou prepare it. 14And thou shalt prepare a meal-offering with it morning by morning, the sixth part of an ephah, and the third part of a hin of oil, to moisten the fine flour; a meal-offering unto Jehovah continually by a perpetual ordinance. 15Thus shall they prepare the lamb, and the meal-offering, and the oil, morning by morning, for a continual burnt-offering (ASV, 1901). During the period of the Mosaic Law the daily offerings consisted of a lamb every morning and of a lamb every evening (Exodus 29:38-42; Numbers 28:1-8). In the Messianic Kingdom services the only burnt-offering mentioned is during the mornings. One more difference to the Mosaic law is that the offering volume is increased from one-tenth to one-sixth, and the oil from one-quarter of a hin to one-third. This difference is intentional even though not clearly explained why. One observation we can make is that as the blessings of grace abound under the Gospel dispensation, and we should abound in our thanksgiving to God. The blessings of the Messianic Kingdom will be greater than at any time before and offerings should represent this greater blessing to us. This then brings an end to the commands for the new order of worship in the Messianic Kingdom. 16Thus saith the Lord Jehovah: If the prince give a gift unto any of his sons, it is his inheritance, it shall belong to his sons; it is their possession by inheritance. 17But if he give of his inheritance a gift to one of his servants, it shall be his to the year of liberty; then it shall return to the prince; but as for his inheritance, it shall be for his sons. 18Moreover the prince shall not take of the people’s inheritance, to thrust them out of their possession; he shall give inheritance to his sons out of his own possession, that my people be not scattered every man from his possession (ASV, 1901). David the Prince will have some special rights or privileges because of his exulted position in the Temple. The fact that the Prince has sons, natural descendants is conclusive that the Prince of these last chapters of Ezekiel is not Christ. Clearly by decree in the Messianic Kingdom whatever gifts he bestows upon them shall be their possession by inheritance. During the one-thousand year Messianic Kingdom there will be twenty Jubilee years. In compliance with one of the laws for the Jubilee property will revert to its original owner as in the Mosaic Law. The Jubilee was celebrated after 7 sabbaths of years or 49 years. Then in the 50th year, counting from Israel’s entry into the Promised Land certain practices were to be set free. The land was to lie fallow during the Jubilee year, Hebrew slaves were to be set free and, hereditary lands that had been sold were returned. The Jubilee was, in a sense, an entire year of festival, a year of liberty that restored the nation to the state it had enjoyed when God first established it. With the Messianic Kingdom being set free of sin, Satan and the curse on the earth at the Fall it will experience true liberty in Jubilee fashion too. So it is in this requirement of the Prince that when he gives gifts to those outside his family these gifts will revert to the original owner in the year of Jubilee which, is him. God sets limits on this practice referencing the abominable practices of the Jewish leaders in the confiscation of the people’s land in the period leading up to the Babylonian captivity and unfortunately after. David while not guilty of these practices during his reign as Israel’s king is nevertheless charged with providing for his offspring from his own personal property not that of others. The people will be protected as to their own personal property. This Jubilee return of gifts only pertains to that which Prince David gave to others outside his family. 23And the land shall not be sold in perpetuity; for the land is mine: for ye are strangers and sojourners with me. 24And in all the land of your possession ye shall grant a redemption for the land (ASV, 1901). 19Then he brought me through the entry, which was at the side of the gate, into the holy chambers for the priests, which looked toward the north: and, behold, there was a place on the hinder part westward. 20And he said unto me, This is the place where the priests shall boil the trespass-offering and the sin-offering, and where they shall bake the meal-offering; that they bring them not forth into the outer court, to sanctify the people. 21Then he brought me forth into the outer court, and caused me to pass by the four corners of the court; and, behold, in every corner of the court there was a court. 22In the four corners of the court there were courts inclosed, forty cubits long and thirty broad: these four in the corners were of one measure. 23And there was a wall round about in them, round about the four, and boiling-places were made under the walls round about. 24Then said he unto me, These are the boiling-houses, where the ministers of the house shall boil the sacrifice of the people (ASV, 1901). This is a continuation of the discussion that the Messiah was providing Ezekiel which stopped at chapter 43:17. Starting at the side of the north gate He shows Ezekiel the spot where there is a one cubit gap in the northern wall of the inner wall and the knife depository. This is the place where the priests will boil the trespass-offering and the sin-offering, and where they shall bake the meal-offering; that they bring them not forth into the outer court, to sanctify the people. The priests will cook the guilt offering and the sin offerings so as to not bring them out into the outer court. Since these sacrifices are of the highest quality and most holy, any transportation to the outer court would disqualify them for use in the services. If they went to the outer court then they would be exposed to non-priestly people wearing unsanctified apparel and this would render them unfit for use. The outer court where the Angel of Jehovah leads Ezekiel is also called the Women’s Court. This is because it completely surrounds the Temple and Inner Courtyard. From Proverbs 12:4 we see that a virtuous women is the crown of her husband. 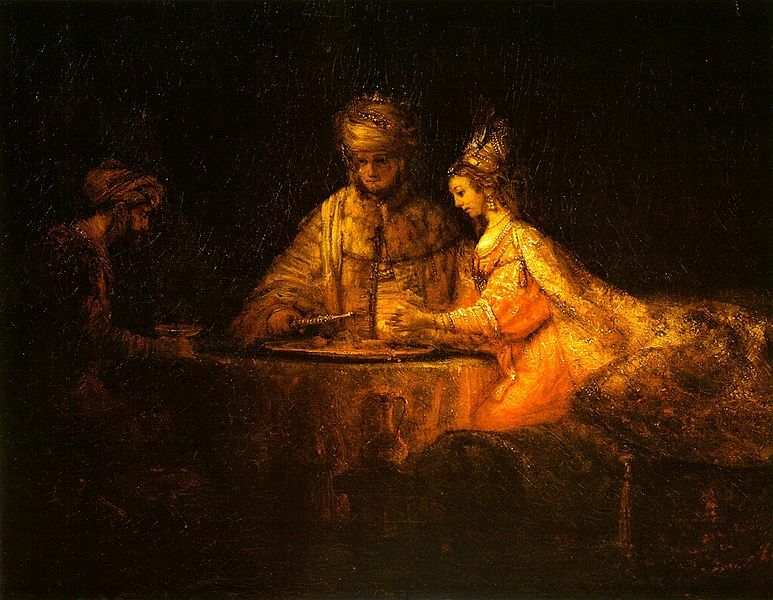 So it is that the women of the Messianic Kingdom are all virtuous and the outer court surrounding the inner court as a crown is known as the women’s court. 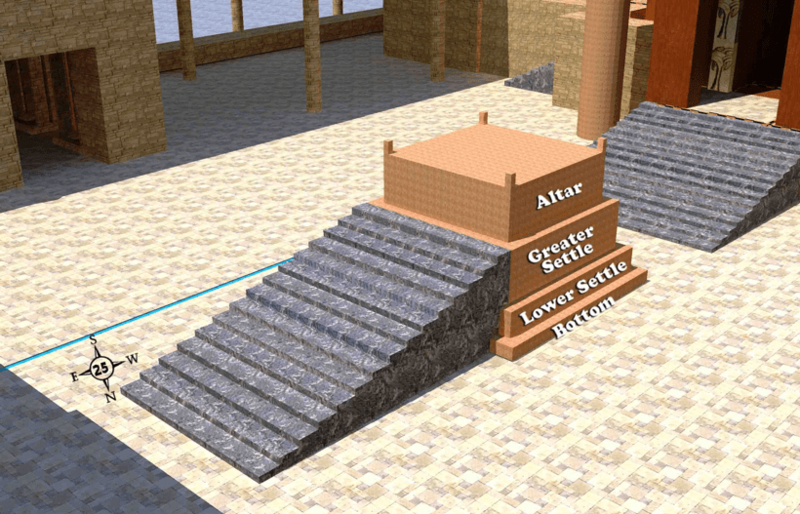 In Solomon’s Temple the women’s court did not surround the inner court but stood east of it. The text in this section of Scripture ends with a description and location of the cooking chambers. Here the priests will cook portions of the sacrifices of the lesser holiness offerings such as the peace offerings and thanksgiving offerings, which are not disqualified if they are taken out of the inner courtyard. 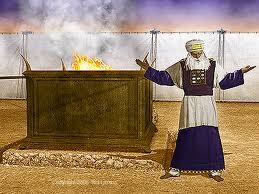 Messianic Temple will not have the Ark of the Covenant. 16And it shall come to pass, when ye are multiplied and increased in the land, in those days, saith Jehovah, they shall say no more, The ark of the covenant of Jehovah; neither shall it come to mind; neither shall they remember it; neither shall they miss it; neither shall it be made any more. 17At that time they shall call Jerusalem the throne of Jehovah; and all the nations shall be gathered unto it, to the name of Jehovah, to Jerusalem: neither shall they walk any more after the stubbornness of their evil heart (ASV, 1901). Since the Messiah who is God Himself will be dwelling in and reigning from Jerusalem, there will be no need for any Ark of the Covenant. 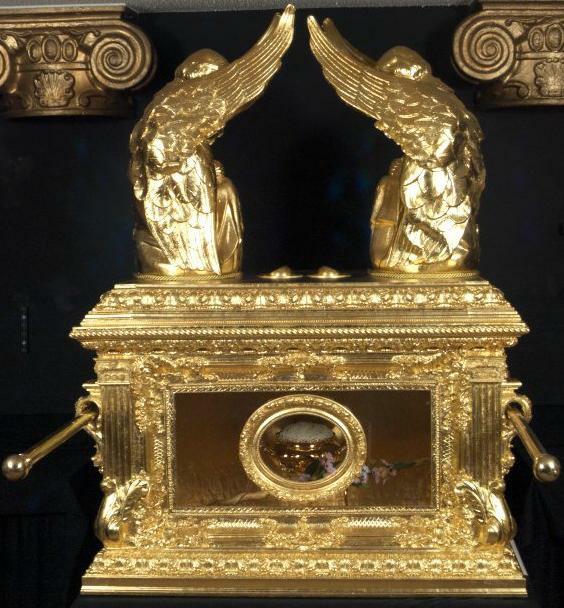 The contents of the Ark of the Covenant were the tablets of stone that were the embodiment of the Law of Moses, a jar of manna and Aaron’s budded rod. 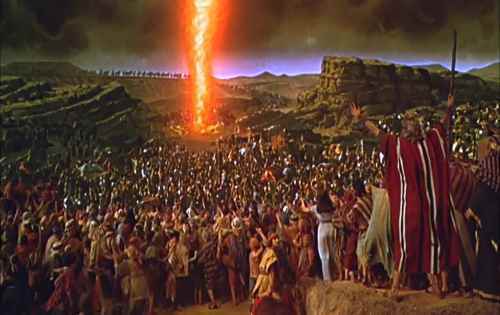 The fact that the Law of Moses is no longer in effect is another reason why the Ark of the Covenant will be missing. Finally the Law of the Messianic Kingdom will be the New Covenant. 14 Now after that John was put in prison, Jesus came into Galilee, preaching the gospel of the kingdom of God, 15 And saying, The time is fulfilled, and the kingdom of God is at hand: repent ye, and believe the gospel (KJV). God had an earthly Kingdom in mind before the creation of the universe (Matthew 25:34;; John 17:24; Ephesians 1:4; Hebrews 4:3; I Peter 1:20; Revelation 13:18). The Kingdom is what God has been trying to set up in a visible manner on the earth since the creation of mankind. It is this creature (humankind) to whom He gave a clear dominion over the earth. It was lost at the Fall and Satan usurping God’s authority made himself the Prince of this World (Matthew 4:8-10; John 14:30). God selected a people group, the Jews to begin setting up the earthly Kingdom starting with Abraham. After a refining period in Egypt the Jews under Moses’ leadership began an outward form of the Kingdom called the Commonwealth of Israel. This reached its high point in the theocracy under the kings of Israel and then the Kingdom was delayed from being set up on the earth due to the sinfulness of the nation Israel. They were punished by God through the Assyrians and Babylonians who removed their national existence, expelled them from the land starting their exile in 586 B.C. It is important to notice how God is allowing His people to come to the realization that they need the King. Sin in its grossest form is idolatry or turning away from God and worshiping the creature instead of the Creator. As long as this continues on this earth the Lord will not establish His earthly Kingdom. His people the Jews must nationally repent by accepting Jesus as their Savior and asking Him to return. God in His Divine Providence is allowing His people to receive the various forms of punishment meted out by this earth until they cry out for Him. 18 For the wrath of God is revealed from heaven against all ungodliness and unrighteousness of men, who hold the truth in unrighteousness; 19 Because that which may be known of God is manifest in them; for God hath shewed it unto them. 20 For the invisible things of him from the creation of the world are clearly seen, being understood by the things that are made, even his eternal power and Godhead; so that they are without excuse: 21 Because that, when they knew God, they glorified him not as God, neither were thankful; but became vain in their imaginations, and their foolish heart was darkened. 22 Professing themselves to be wise, they became fools, 23 And changed the glory of the uncorruptible God into an image made like to corruptible man, and to birds, and fourfooted beasts, and creeping things. 24 Wherefore God also gave them up to uncleanness through the lusts of their own hearts, to dishonour their own bodies between themselves: 25 Who changed the truth of God into a lie, and worshipped and served the creature more than the Creator, who is blessed for ever. Amen (KJV). The Old Testament scriptures teach that there will be an earthly, visible Kingdom over which the Son of Man is to rule (Daniel 7:13–14, 2:34–35, 44–45; Jeremiah 23:5; Zechariah 14:9). At the time of Jesus’ birth there was a widespread expectation of the coming of the Messiah. 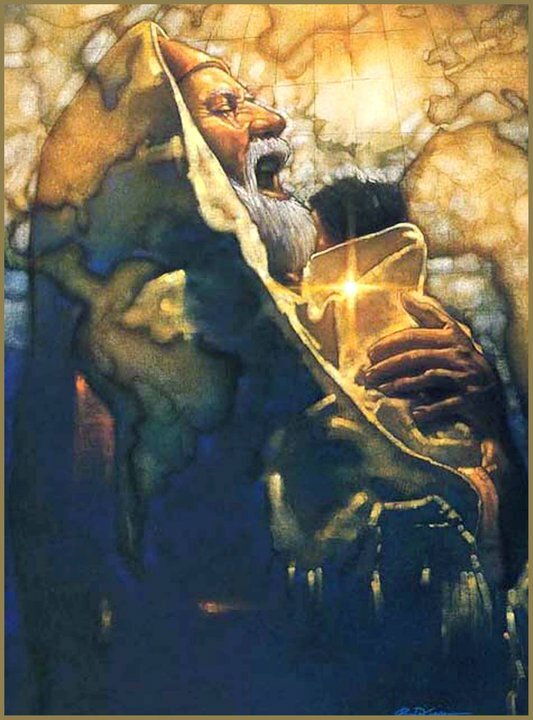 For example, Simeon and Anna waited in the Temple for the “Consolation of Israel” (Luke 2:25–38). When six hundred years of the Times of the Gentiles had been completed God sent Himself, The King to the earth. He had the angel Gabriel announce to Mary that she would give birth to that King. 26 And in the sixth month the angel Gabriel was sent from God unto a city of Galilee, named Nazareth, 27 To a virgin espoused to a man whose name was Joseph, of the house of David; and the virgin’s name was Mary. 28 And the angel came in unto her, and said, Hail, thou that art highly favoured, the Lord is with thee: blessed art thou among women. 29 And when she saw him, she was troubled at his saying, and cast in her mind what manner of salutation this should be. 30 And the angel said unto her, Fear not, Mary: for thou hast found favour with God. 31 And, behold, thou shalt conceive in thy womb, and bring forth a son, and shalt call his name JESUS. 32 He shall be great, and shall be called the Son of the Highest: and the Lord God shall give unto him the throne of his father David: 33 And he shall reign over the house of Jacob for ever; and of his kingdom there shall be no end (KJV). Thirty years later Jesus Himself as well as John the Baptist announced that the Kingdom is “at hand.” This means that the King has arrived and is offering the Kingdom to the chosen people the Jews (Matthew 3:1-2, 4:17-23; Mark 1:14-15). Jesus the King sent out the apostles (Matthew 10:7) and another seventy disciples (Luke 10:1-9) telling them to proclaim to the Jews the same thing. Now the ruling governmental, Temple and Religious authorities rejected the offer as well as the King. They crucified Him and the Kingdom was again postponed. It now had a mystery form called the Kingdom of Heaven. The “Kingdom of Heaven” is a New Testament term, and is found in Matthew’s Gospel only, where it is mentioned thirty two times. The characteristics of the Kingdom of Heaven are described in the twelve “Kingdom of Heaven” Parables (Matthew 13:1–50; 18:23–35; 20:1–16; 22:1–14; 25:1–30). From these Parables we see that the “Kingdom of Heaven” is limited as to its Time and its Sphere. Its Time is from the First to the Second Coming of Christ, and its Sphere is over that part of the world that we call Christendom. 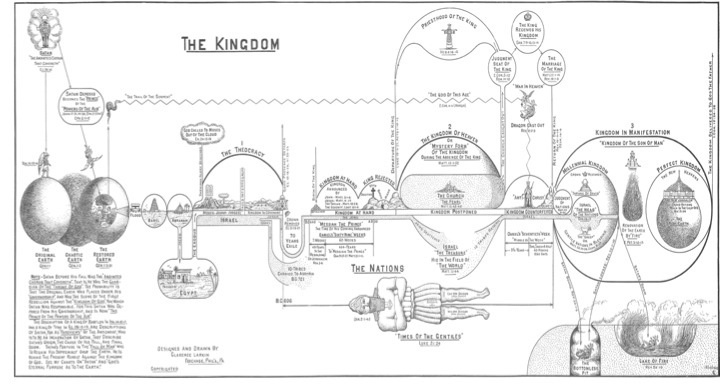 In the “Kingdom of Heaven” there is a mixture of good and evil, of “Wheat” and “Tares,” of “Good Fish” and “Bad Fish,” of “Wise Virgins” and “Foolish Virgins.” These Kingdom parables describe the character of the Present Dispensation in its earthly aspect during the absence of the King. The Lord Himself in the following parable teaches it. 11 And as they heard these things, he added and spake a parable, because he was nigh to Jerusalem, and because they thought that the kingdom of God should immediately appear. 12 He said therefore, A certain nobleman went into a far country to receive for himself a kingdom, and to return. 13 And he called his ten servants, and delivered them ten pounds, and said unto them, Occupy till I come. 14 But his citizens hated him, and sent a message after him, saying, We will not have this man to reign over us. 15 And it came to pass, that when he was returned, having received the kingdom, then he commanded these servants to be called unto him, to whom he had given the money, that he might know how much every man had gained by trading. 16 Then came the first, saying, Lord, thy pound hath gained ten pounds. 17 And he said unto him, Well, thou good servant: because thou hast been faithful in a very little, have thou authority over ten cities. 18 And the second came, saying, Lord, thy pound hath gained five pounds. 19 And he said likewise to him, Be thou also over five cities. 20 And another came, saying, Lord, behold, here is thy pound, which I have kept laid up in a napkin: 21 For I feared thee, because thou art an austere man: thou takest up that thou layedst not down, and reapest that thou didst not sow. 22 And he saith unto him, Out of thine own mouth will I judge thee, thou wicked servant. Thou knewest that I was an austere man, taking up that I laid not down, and reaping that I did not sow: 23 Wherefore then gavest not thou my money into the bank, that at my coming I might have required mine own with usury? 24 And he said unto them that stood by, Take from him the pound, and give it to him that hath ten pounds. 25 (And they said unto him, Lord, he hath ten pounds.) 26 For I say unto you, That unto every one which hath shall be given; and from him that hath not, even that he hath shall be taken away from him. 27 But those mine enemies, which would not that I should reign over them, bring hither, and slay them before me (KJV). Jesus is describing the nature of the administration of spiritual gifts during the time on earth between His first and Second Comings. Many on this earth hate Him and will receive their just reward. Those in the Church have been given gifts to use for building up the Church and He will reward us for the seriousness, which with we used them. The believing Jews will be given authority over many cities. Interestingly the world at large called him a nobleman a term, which He uses in this parable. Most of this world will admit to Him being of some value such as a good teacher. When He returns He will be the King of the earth. After Jesus’ resurrection His Jewish followers asked if now was the time for the Kingdom to be set up on the earth. They realized that the King Himself was here. He told them that it was not going to occur then (Acts 1:6-7). He left them with the belief that there was to be an “earthly and visible Kingdom” some day. Because of the King’s rejection it was impossible to establish it at that time. Its establishment will require the Jews to affirm Him as the King. They will do this at the second Coming (Zechariah 12:10). They will look on Him whom they have pierced. This has all been part of the broad “Plan of God,” who knew that Israel would refuse to accept Jesus as King, and that they would not nationally repent until after the Church had been formed and taken out of the world. The Church is not the Kingdom or any aspect of it. The Kingdom is an outward visible political theocracy yet to be set up on earth (Daniel 2:44) whereas the Church is a spiritual organism that will be taken out of the world at the rapture (Matthew 24:40-41; Luke 21:34-36; I Thessalonians 4:16-17). The impact of Christianity over this world is diminishing as the Prince of this World gains more control and adherents. Whereas many western world governments were influenced by Christianity causing them to adopt laws and social practices patterned after the Bible’s teaching this is coming to an end. The influence of Christianity on this world, which is called Christendom, is referred to in Matthew’s Gospel as the Kingdom of Heaven. Jesus has not yet received the Kingdom. He must finish His High Priestly and Mediatorial work first. 13I saw in the night-visions, and, behold, there came with the clouds of heaven one like unto a son of man, and he came even to the ancient of days, and they brought him near before him. 14And there was given him dominion, and glory, and a kingdom, that all the peoples, nations, and languages should serve him: his dominion is an everlasting dominion, which shall not pass away, and his kingdom that which shall not be destroyed (ASV 1901). The form of Government will be a “Theocracy.” Christ will reign through a “King” or “Prince” called David (Hosea 3:5; Jeremiah 30:9; Ezekiel 34:24, 37:24), whose Throne shall be at Jerusalem. The Temple will be rebuilt, and the “Aaronic Priesthood” reestablished (Ezekiel 44:15–31). There will be a revival of the Land of Israel (Joel 3:18), and the length of human life extended (Isaiah 65:20–22. Zechariah 8:4). 6And the wolf shall dwell with the lamb, and the leopard shall lie down with the kid; and the calf and the young lion and the fatling together; and a little child shall lead them. 7And the cow and the bear shall feed; their young ones shall lie down together; and the lion shall eat straw like the ox. 8And the sucking child shall play on the hole of the asp, and the weaned child shall put his hand on the adder’s den. 9They shall not hurt nor destroy in all my holy mountain; for the earth shall be full of the knowledge of Jehovah, as the waters cover the sea (ASV 1901). Most of the exact nature of the effects of the Fall will be removed from the earth at that time. When Satan lured Eve into disobeying God she let sin and decay into the arena of time and space. What exactly was this sin that Satan imparted to Eve and has become endemic to mankind; even celebrated? It is pride, the source of all sin and that, which is an abomination to God. We are warned the effects of pride in our lives in multiple Scripture passages. 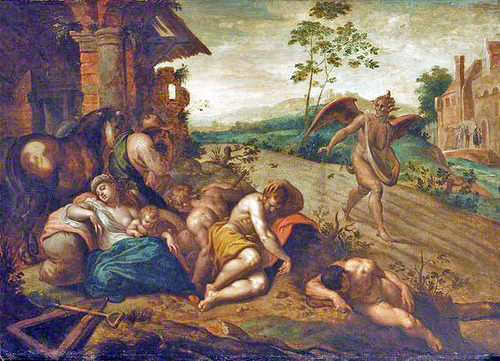 It was the principal reason that God destroyed Sodom & Gomorrah. God hates pride within mankind and especially within His Church. There is no room for prideful ambitions in our lives. It stunts our spiritual growth and causes us to be out of fellowship with the Lord when we are prideful. This will all be removed through the Great Tribulation. God has expressed three distinct reasons for the Great Tribulation. So sin and its source are eliminated at the beginning of the Millennial Kingdom. 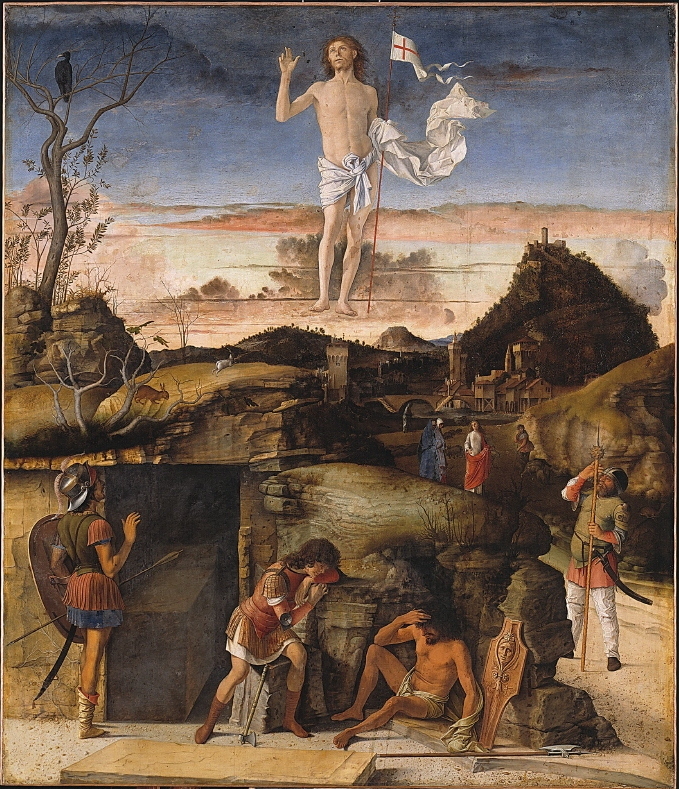 It is extremely important that we do not fail to realize that Christ explained in the Olivet Discourse that these things must happen before the Great and Terrible Day of The Lord. The Olivet Discourse provides detail of each of these Birth Pangs or Travails as some translations render these events. As the economic distress, persecution, and conflict as well as political turmoil increase we must be aware of how we are commanded to respond.